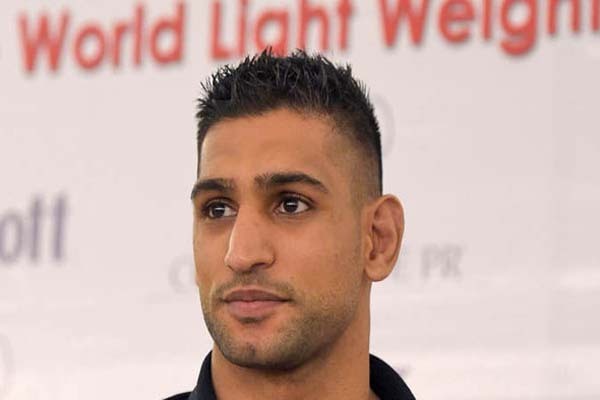 ISLAMABAD, Aug 17 (APP): British boxer of Pakistani origin Amir Khan will give tips to Pakistan’s young pugilists at his Boxing Academy here at Pakistan Sports Complex on Friday. The “Amir Khan Boxing Academy” was established at Pakistan Sports Complex in August, last year in collaboration with Pakistan Sports Board (PSB), to train young pugilists of the country. “Amir is in Pakistan these days. He has pledged to impart training and groom Pakistan’s aspiring boxers,” a PSB official told APP on Wednesday. He said the board had signed an agreement with Amir Khan under which he was providing coaches and boxing equipment for the Academy. “While we are extending all necessary support to run the Academy in an efficient way,” he said. He expressed the hope that with the help of Briton boxer Pakistan would soon be a top nation in boxing. He lauded Amir’s interest in lifting boxing in Pakistan stating, “Whenever he visits Pakistan he ensures his own availability for providing training and advising young pugilists. This shows his love for Pakistan,” he maintained. The official sounded optimistic that the Amir Khan Boxing would soon yield results. “We are hopeful this Academy will soon start producing champions,” he said.